When I was a kid, sometimes the best present I could get was the HUGE cardboard box a toy came in, instead of the toy itself. I could draw on it, build a fort with my brother, hide in it and pretend it was a house. As an adult, not much has changed. I recently found a stash of refrigerator boxes at work (they were used for a soap box race in the parking lot to commemorate the 100th running of the Indy 500 race). I asked permission to take a few of these treasures and got some strange looks! Little did the skeptics know how much fun adventures with cardboard can be. 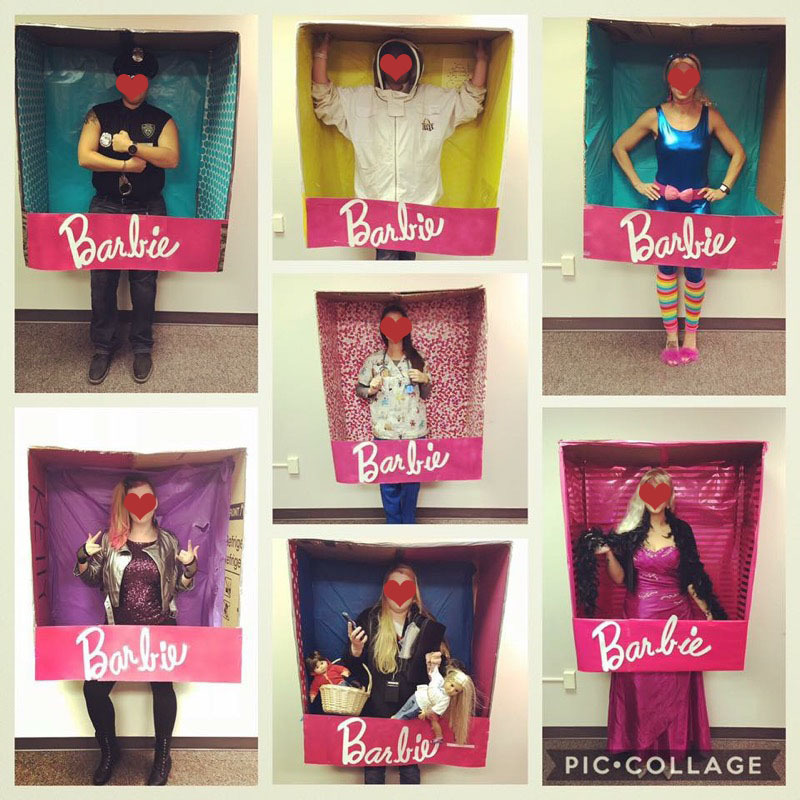 The first project that really kicked off my adventures with cardboard was for Halloween. My cousin wanted to make life size doll boxes, hence why I needed such a huge cardboard box to start with. Cutting thick cardboard isn’t very easy, and using a reciprocating saw ended up being the best way to quickly cut the boxes to the right size. The boxes were cut into 2/3 size in height and then in half so the opening could be the front of the doll box. We had a little painting party to spray paint the boxes pink on the outside, then used wrapping paper on the inside. I made sure the lettering was on the inside of the boxes so it wouldn’t take as many coats to cover the dark black ink. In hindsight, I would say covering all sides in wrapping paper would have been the easiest. I found solid pink wrapping paper at Joann Fabrics for a different project and used it on one of the box insides. I used a Cricut to cut out the letters that everyone had on the front of their boxes. After everyone made their doll boxes, I started eyeing this Gaylord size cardboard box at work used for recycling smaller boxes. They are kept right by the employee entrance behind the restaurant and seeing them every morning got my creative ideas flowing. 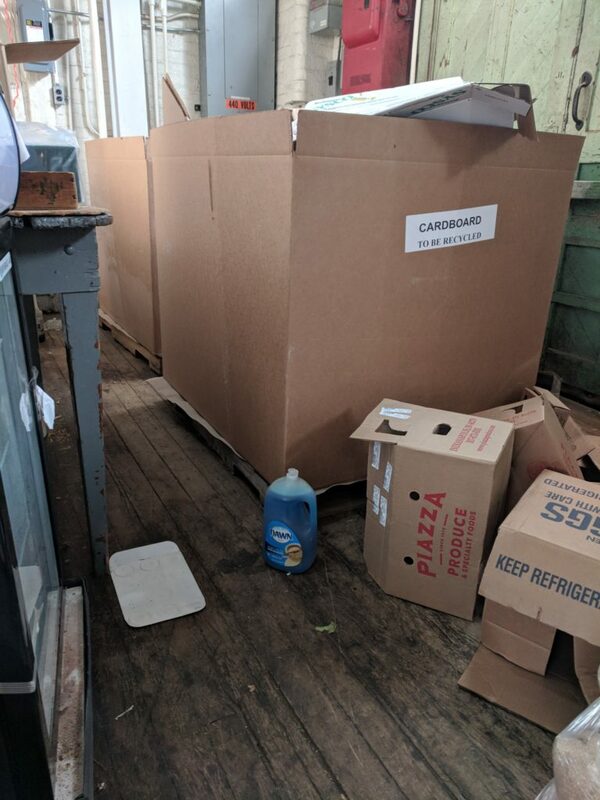 The dish soap in the photo is to show the scale, these boxes fit on a pallet and are just as tall as they are wide. 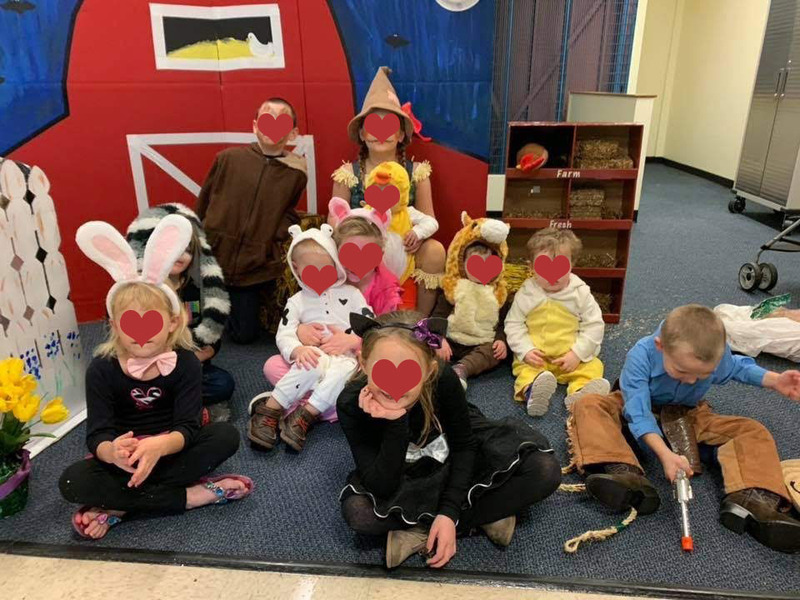 I had signed up to do an indoor Trick or Treat for Halloween and all the kids in my family would be dressing up as barnyard animals. 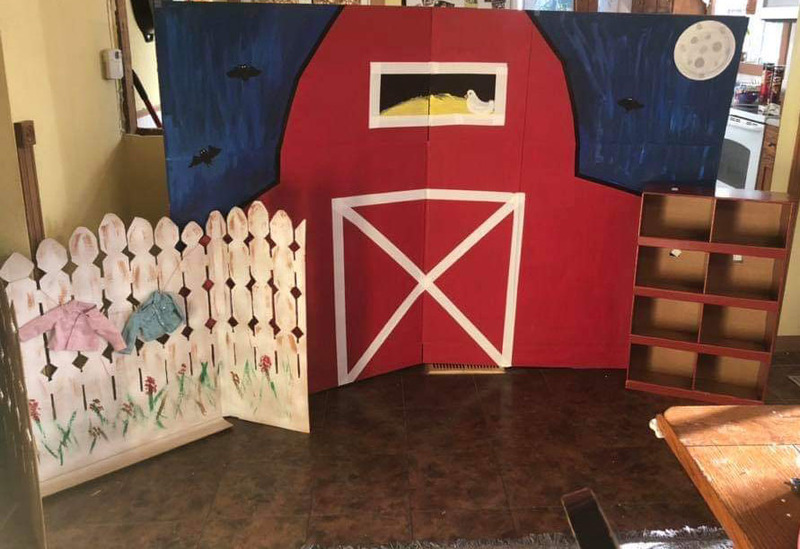 The idea was to transform the space we had into a barnyard complete with a red barn, picket fence area for the young kids and even a nest box for chickens. Everything would be made out of cardboard. The fence was interesting to put together. While still clearing out clutter from an upper floor of my building, I happened across this tri fold box. The purse in the photo is to show scale. I had part of a decorative fence up at my desk with clothespin line on it to hang thank you cards and photos. My cousin actually traced the fence on the cardboard and cut it out with scissors. I spray painted the cardboard white (this cardboard had no writing on it thankfully) and then my cousin painted the details and hung the doll clothes on it. We made two panels of fence post and used it to help cover up a play pen we could corral the youngest kids in. When everything was set up and all the kids were in their costumes, it was really a lot of fun. Afterwards, we moved all of the cardboard pieces into a playroom in the basement for the kids to play with. I think their favorite thing to play with is the nest box, they are always putting their toys on the different shelves and playing with the stuffed chicken. 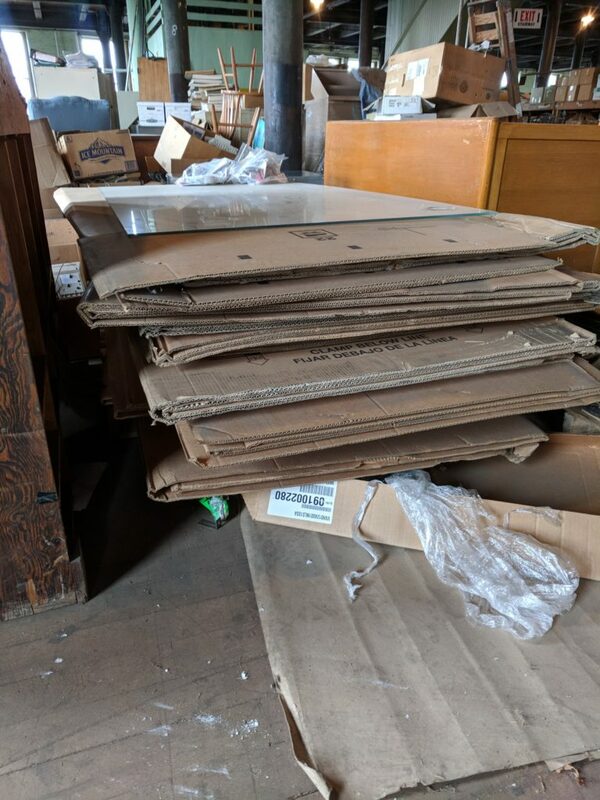 After making the doll boxes and barnyard, I still had a pile of leftover cardboard in the pole barn. One of my co-workers was turning 30 and I helped to plan her party. I liked the theme of a vintage/wine party and ran with it. 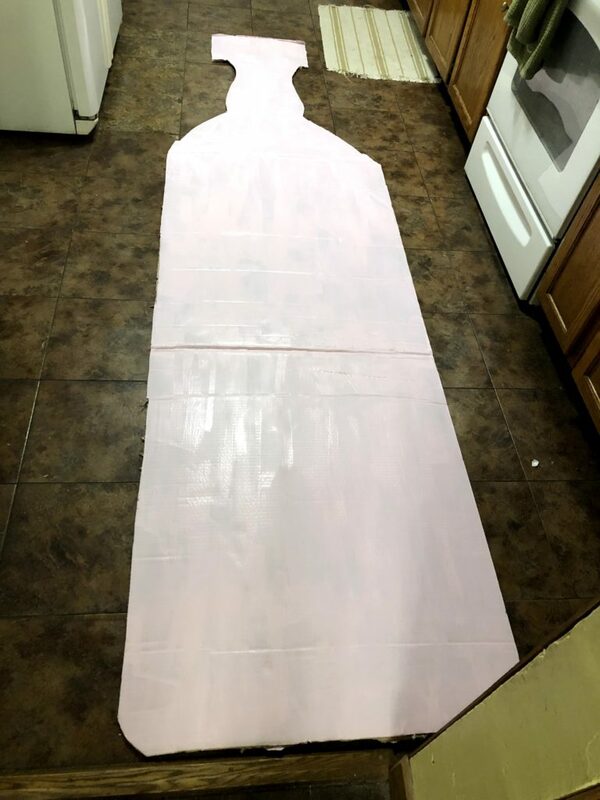 I used a bottom third of the refrigerator box left over from the doll box and cut out a wine bottle shape using a utility knife. I scored the cardboard on one side with the knife, then flipped it and cut it out from the other side. I wanted it to be a rosé wine-light pink in color. I looked for acrylic paint at WalMart and saw they wanted 4 times as much for a pink color as white paint. I diluted some of the left over red paint from the barn into a bottle of white paint to make this pretty pastel pink color. The bottle ended up being about 10 foot tall. 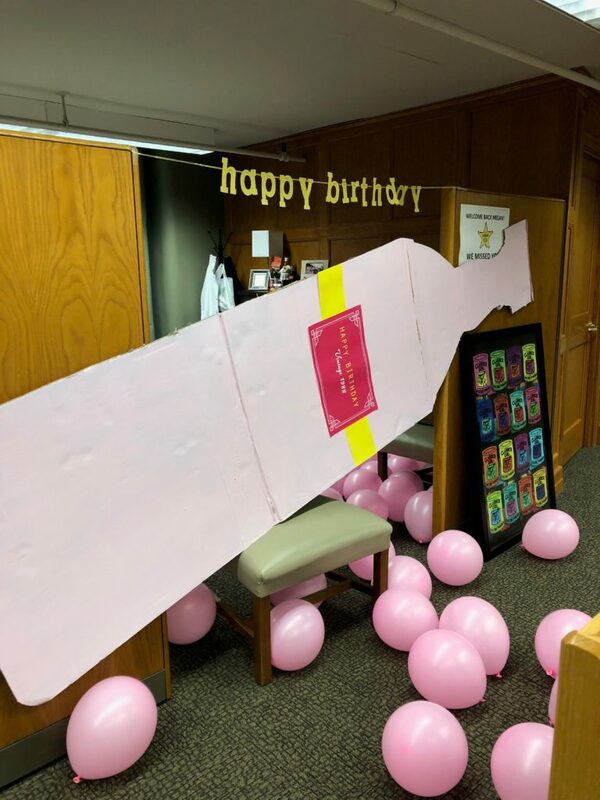 I blew up about 30 pink balloons for her office space and barricaded the entrance with the bottle turned on its side. She was surprised to say the least! I still have a small supply of cardboard boxes (and I know where I can get more if needed). 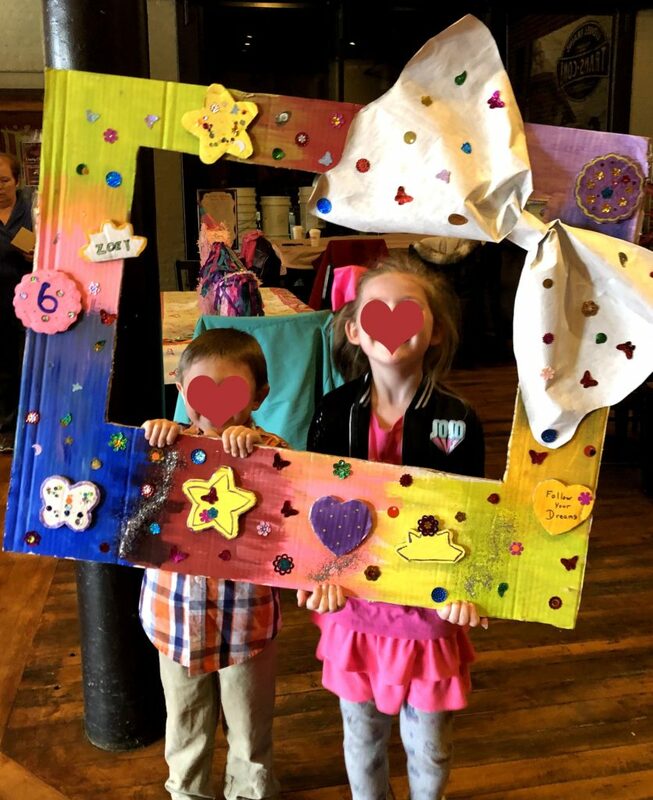 I’ve only had one other adventure with cardboard, a photo frame for a little girl’s 6th birthday party. The frame was easy enough to cut out of the leftover refrigerator box supply. The giant bow was made from the center of a wrapping paper roll, it’s a really lightweight cardboard that is easy to crinkle and shape. All of the add on shapes were traced from cookie cutters used to make the cookies at the party so they would match, and of course the birthday girl got to decorate everything herself. I’ve often used cookie cutters to get precise and consistent shapes (in the days before I had access to a Cricut). One of my favorite projects to use cookie cutters with is Christmas ornaments. I trace the shape onto felt and sew two pieces together, stuff it and hand out to family, friends and co-workers. I am so excited to see what 2019 brings and what other adventures with cardboard will happen! Have you ever used cardboard as a medium? I’d love to hear what adventures other people are having with cardboard.